There’s something about untold stories; they drill themselves to the surface and make themselves heard in jarring, uncomfortable ways. 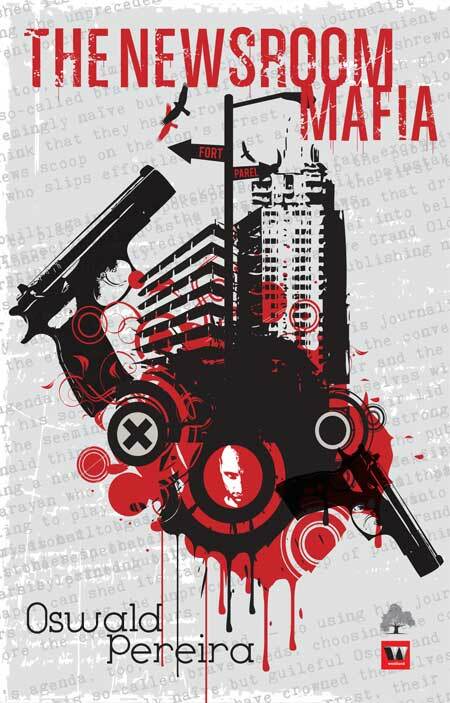 Oswald Pereira has created a fictional story about Mumbai’s underworld and its influence in every sector that matters. Starring an all powerful Don and his army of criminals, the grimy story of a city addicted to greed comes out. The Don’s reach is everywhere, and soon he’s controlling the only real power opposing him—the newsroom. This book is about corruption on an obvious level, but more importantly the tension lying beneath the words is the uneasiness of a news world infiltrated with bribe and threats. Pereira gives the criminals we usually encounter in newsprint a story to complete the picture. But the characters are numerous and their connections to one another are convoluted and laborious to keep up with. The other, and more important, problem with this book is that it reads like a translated text. His dialogues and narration seem out of place and he hasn’t made too much of an effort to make the text fit the language. While reading the book, I couldn’t help but think that this idea had more potential as a movie than a book. The idea is sound, but his narrative tends to crumble under the weight of his complexities. There aren’t too many books on the subject, and in its own exaggerated way, The Newsroom Mafia has opened up a portal to a subject not many writers would choose. The book has its minuses but it’s not a cliché. It magnifies what I assume is Mumbai’s reality. It smothers it in cheesy gangster dialogue, but the novel makes its point. This isn’t an easy subject to write about, and though the language is generally weak and the plot complicated to an unnecessary degree, it’s headed in the right place. For those interested in Mumbai’s underworld and the underbelly of journalism, this book might make interesting reading. For those who aren’t, you might not enjoy the book in a literary way, but you might just pick up a thing or two.